Far and away the best car buying experience I have ever had. The process was painless in every way. Devan was professional and got me through the process quickly and thoroughly. There was no wasted time or haggling. 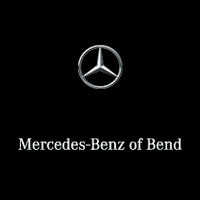 Here on out I will continue to do my vehicle shopping at Mercedes Benz of Bend. Jennifer & Shawn made buying a car one of the easiest experiences. Shaun did a great job at making our transaction go smoothly. When we discovered a mechanical issue a day after we bought the car, they fixed it for free. Very please customer!